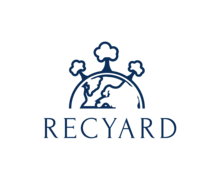 How to Create a Recycling Company Logo? Different companies specialize in processing different types of garbage, e.g. wood, food waste, construction materials, etc. 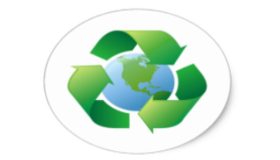 For the most part, businesses take the safe route and use the standard recycling symbol to identify their industry. The color palette is determined by the type of processed waste. If you are dealing with wood, choose brown and yellow. Compost is associated with the shades of green and brown. Grey and brick are good at creating associations with construction waste. If your business is producing compost, consider yourself lucky because your choice of icons is bigger than your colleagues’. Consider using green arrows, leaves, flowers, trees, and similar images that stand for rebirth. While green is the most obvious choice for a recycling-themed emblem, nature offers a bigger variety of hues, such as brown, black, red, blue, and white. To convey the idea of constant circulation, employ triangles, circles, and arrows of different sizes. 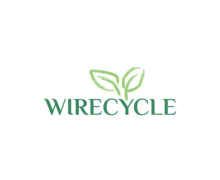 Let’s take a look at some of the successful recycling-themed logos. ISWA, a global waste management company, has come up with a chamomile inside a green square. On the logo of ENVIRO, a Scandinavian waste facility, you can see the company name, with the green sprout growing from the letter “O.” AVE has adopted an out-of-the-box approach by placing its abbreviation against a dark red background. 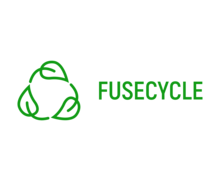 How do I create a recycling company logo for my brand?